The items ordered were received in a timely fashion & were exactly what was required. They have already worked a treat. The same items ordered on the internet from Hong Kong were paid for but never received at all. Your service was more than satisfactory. 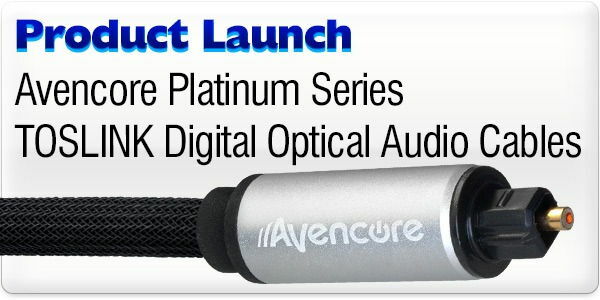 2.5m Avencore Crystal Series 2RCA Stereo Audio Cable + FREE SHIPPING! It doesn't get much simpler than 2RCA stereo, but Avencore don't take any chances and build these cables to the same standard as their other terrific Crystal Series products, with a high quality soft PCV jacket covering 24AWG Oxygen-Free Copper cores. Howdy,can these cables be used for connecting car audio head units to amplifiers ? Answer: "We don't have a lot of experience with car audio head units, but audio coming over RCA is line level, so isn't affected the the impedance rating for speakers (4Ohm talks about the power going through bare wire to the loudspeakers). If the head unit has 2RCA audio out, there should be no trouble connecting it to any type of amplifier that accepts 2RCA audio, and since there are no limitations on what our 2RCA cables can carry in terms of pre-amplified audio, I don't see any problem using our Premium cable." I feel very happy to deal with you. Your goods are a reasonable price and of a good quality. I always get them in a few days after ordering. Keep up the good work! Taking these cables out of the packaging you can feel they are solid and well shielded. The contacts make a firm and reassuring connection. Good upgrade over standard cables and a sensible price - recommended.